Hey folks! Have you heard there’s this Innovation Conference happening August 23rd in Birmingham? Meet really smart, risk-taking people. If you’re starting a company, you want to know these people. They are going to be at the conference. Get an honest look at success. Success is often messier than it’s made out to be. Get an honest look at it at this conference. It’s enlightening. Expand your perspective. Remember that book “The World is Flat”? Amazing idea. 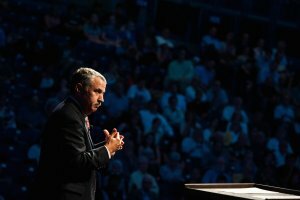 Well Thomas Friedman (the guy who came up with it) is speaking. He’s sharing his next ideas on where the world is going. But really you should attend the conference if you want to make the world better. That’s ultimately why people start new things. Yeah sure you can also make a lot of money, but in the end I think it’s really about changing the world for the better. I want to make the world better. Do you? For tickets and event details, visit the imerge website.